Kazakhstan and Hungary determined priority areas in development of cooperation, President Kassym-Jomart Tokayev said while making a joint statement after the talks with Hungarian Prime Minister Viktor Orbán in Akorda. 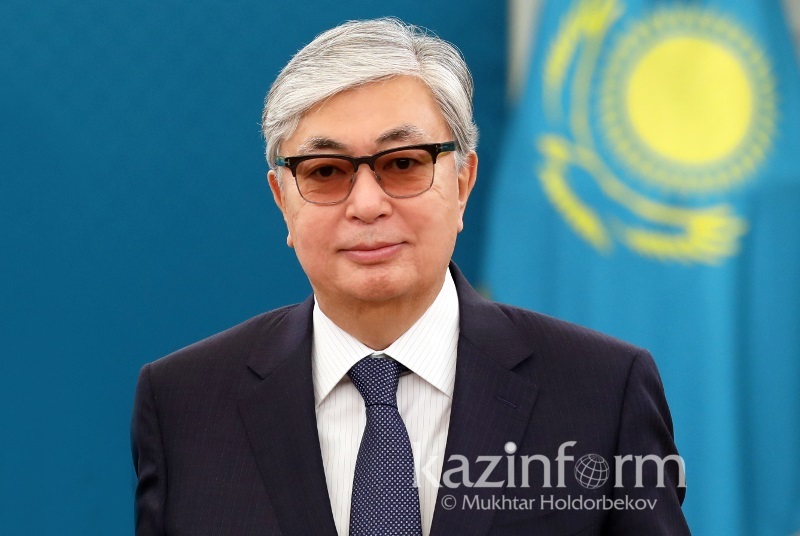 "Today we have outlined priority areas in development of political, trade and economic and cultural ties between our countries," said Tokayev. The Head of State highlighted that the two sides laid special emphasis on the activity of the Strategic Council and the Intergovernmental Commission for Economic Cooperation. He added that a business delegation of Hungary led by Deputy Prime Minister -Minister of Finance of this country will visit Nur-Sultan on April 29-30 to participate in the III Meeting of the Strategic Council. "This event will boost our trade and economic ties and will bring our investment cooperation to a brand new level," he said. President Kassym-Jomart Tokayev and Prime Minister of Hungary Viktor Orbán are holding a meeting in Akorda now. Minister of Digital Development, Defense and Aerospace Industry Askar Zhumagaliyev has met with Ambassador Extraordinary and Plenipotentiary of Germany to Kazakhstan Tilo Klinner. At its XV Congress the Ak Zhol Democratic Party has nominated Daniya Yesspayeva as its candidate for the 2019 presidential election. The sitiing on April 24 of the general council of the Federation of Trade Unions of Kazakhstan considered nomination of its candidate for the presidential election. President of Kazakhstan Kassym-Jomart Tokayev has received today Minister of Labor and Social Protection of the Population Berdibek Saparbayev. A naval flotilla of Iran’s Caspian Sea fleet, comprising two missile-launching corvettes, berthed at the Kazakh port city of Aktau on Wednesday. The Iranian flotilla, including Separ and Joshan missile-launching corvettes, docked at the Kazakh port as part of the regular naval visits to neighboring states. Prime Minister Askar Mamin has met today with Executive Director of the American Chamber of Commerce Doris Bradbury, Ambassador of Great Britain to Kazakhstan Michael Gifford, Canadian Ambassador Nicholas Brousseau, Head of the EU Delegation to Kazakhstan Sven-Olov Carlsson and U.S. Chargé d'Affaires Theodore Lyng. President of Kazakhstan Kassym-Jomart Tokayev has held a session on the results of the National Bank's activity in 2018. The volume of loans issued by banks of Kazakhstan to individuals in February 2019 amounted to 360 billion tenge, 4% more than last month, and 31.3% more compared to February 2018. The speaker of the Parliament Nurlan Nigmatulin demanded to tighten the responsibility of the first heads of state bodies for the inefficient use of the budget. The Kazakhstani HR start-up attracted 40 million tenge of investments and launched on the Russian market. I2BF and businessman Murat Abdrakhmanov invested in capital. The euro fell against the U.S. dollar on Wednesday after a surprise drop in a leading indicator for economic activity in Germany highlighted the divergence between economic data in the United States and the euro zone. Prime Minister of Kazakhstan Askar Mamin has held a meeting with representatives of Royal Dutch Shell, namely Andrew Brown, Upstream Director, Wael Sawan, Executive Vice President Deepwater, and Gerald Schotman, Executive Vice President Upstream JVs. In just 28 years of independence, there were 11 prime ministers who presided over a different composition of the government. Some members of the Cabinet were transitional. The government of Kasym-Zhomart Tokayev should be recognised as the most effective, experts of the Centre for Applied Economics Research said. The rally in oil prices supports the tenge and the Russian rouble. The current week began for the national currency with a relatively positive trend. On the side of the tenge, there is a formal tax period, as well as high oil prices and the strengthening of the Russian rouble. The privatisation of the Kazakh oil and gas giant KazMunayGas is planned to take place at the site of the Astana international financial centre in 2020. This was announced on April 24, in Novosibirsk during the presentation of the AIFC, claiming the status of the financial hub of Eurasia. Kazakhstan’s benchmark Urals crude’s differentials in the Mediterranean softened on Wednesday after Russia’s provisional loading plan for the full month of May showed exports from Baltic Sea ports and Novorossiisk rising by 11 percent on a daily basis from April. Oil prices hovered around six-month highs on Wednesday after data showing rising U.S. stocks countered fears of tight supply resulting from OPEC output cuts and U.S. sanctions on Venezuela and Iran. British wholesale gas prices recovered somewhat on Wednesday after slumping in the previous session due to oversupply and a shut-in export pipeline but remained at multi-year seasonal lows. In the I quarter of 2019, the production of precious and non-ferrous metals in Kazakhstan amounted to 712.4 billion tenge. This figure has increased by 6.1% in comparison with the same period of 2018. Chem-plus plans to launch a chemical complex for the production of glyphosate and phosphorus in 2020. The project cost is 70.104 billion tenge. Kazakhstan intends to export $30 million worth of titanium and niobium products to Turkmenistan, India and Germany. 800-900 tonnes of Kazakhstani products will be sold to these countries. In addition, starting from 2020, titanium will be supplied to Japan. Gold steadied on Wednesday, crawling up slightly from the lowest in nearly four months hit during the previous session, with bullion pressured by a robust dollar as U.S. stocks took a breather following a strong rally. Copper and other base metals recovered on Wednesday from the previous day's losses, buoyed by hopes for a U.S.-China trade deal and stronger economic growth in top metals consumer China. A solar power plant worth $46 million was launched in the Karaganda region. The project with a capacity of 40 MW was implemented in Balkhash at the Gulshat site. The investor was the Chinese company Risen Energy Co Ltd.
Nursultan Nazarbayev met with the ALSTOM company CEO, Henri Poupart-Lafarge, according to the press service of the First President of the Republic of Kazakhstan. Leader of the Nation Nursultan Nazarbayev has met with Henri Poupart-Lafarge, CEO of Alstom. The sides debated the current state and prospects for investment cooperation. Nursultan Nazarbayev highlighted significance of infrastructure development in the context of strengthening of transit and transport potential of the country. "Hungary will invest into construction of a dairy factory in Kazakhstan," Prime Minister of Hungary Viktor Orbán revealed following the talks with Kazakh President Kassym-Jomart Tokayev. North Kazakhstan region plans to produce agricultural equipment. According to the regional management of industrial-innovative development, the start of this project is scheduled for the second half of 2019. The new production in Petropavlovsk will be opened by the German company CLAAS. Chicago soybeans edged higher on Wednesday, steadying after hitting a 2019 low the previous day, as investors weighed the chances of a U.S.-China trade deal against bumper crop prospects in South America and swine fever in China. Capital expenditure totaled KZT 10.7 billion in the ICT sector in Kazakhstan in January-February, reports Profit.kz. The spending grew by 69.1 percent year-on-year, after totaling KZT 6.3 billion in the year-earlier period. From May 22, 2019, the schedule of some passenger trains will change, according to the Passenger Transportation Authority. It took less than half an hour to clear eight truckloads of sunflower seeds through the Bakti port in Xinjiang along the China-Kazakhstan border, as local customs authorities take measures to make trade more efficient. Chinese shares closed higher on Wednesday, with the benchmark Shanghai Composite Index ending at 3,201.61 points, up 0.09 percent. The Shenzhen Component Index closed 1.1 percent higher at 10,236.27 points. The Russian rouble slipped against the dollar on Wednesday along with other emerging market currencies, despite receiving support from month-end tax payments and investor expectations of high demand for government bonds. The total cost of modernizing the Azerikimya Production Association (PA) is about $500 million, Deputy Director General of Azerikimya Production Association Orkhan Jafarov said.